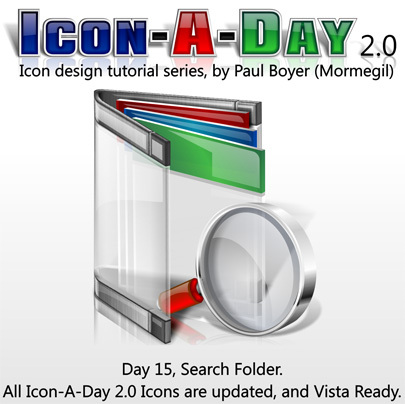 This is the day 15 of the ongoing Icon-A-Day series. This Zip contains the Search Folder. As alwasys all the popular resolutions are including full size 256x256 Vista Ready versions.